Created by most experienced Jazz Musicians for Musicians and Music Lovers. and connecting to the International scene of modern music. 2013台北爵士音樂節 : 久等了 ! 我們 7/19,20,21 見 ! 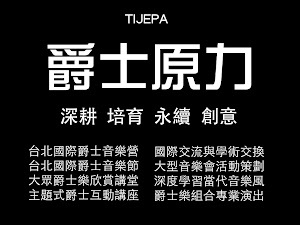 亞洲最大國際爵士音樂營TISJA又回來了！07/13~19，已可線上報名！TISJA is calling! 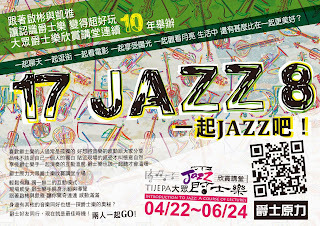 the 12th Taipei International Summer Jazz Academy will be from July 13 to 19, Apply here!